After the two days of the G20 Summit, the Mexican President, Enrique Peña Nieto, met with several of his counterparts and discussed various issues regarding trade and international relations. 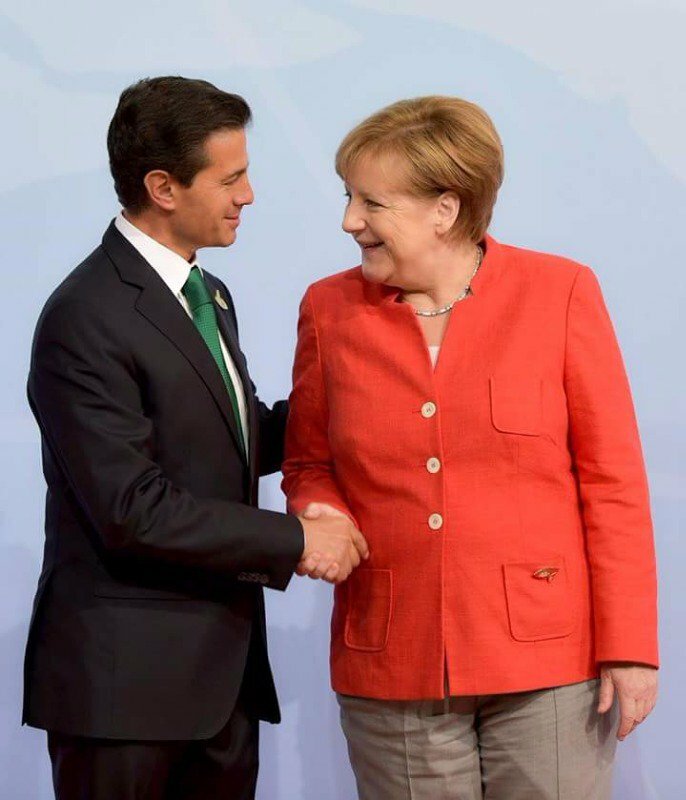 Peña began his participation with a greeting to the Chancellor of Germany, Angela Merkel, who was the host of the 12th edition of this global event. Peña also met with Russian President, Vladimir Putin, on Friday and had a brief talk, the contents of which were not revealed by the Presidency's communication office, but was recorded with photographies. During a 30-minute meeting, the Presidents of Mexico and the United States analyzed various issues, such as the process of modernization of the North American Free Trade Agreement (NAFTA), the joint fight against organized crime, migration, and regional development. At the private bilateral meeting between Peña and Canadian Prime Minister, Justin Trudeau, both agreed that the relationship between Mexico and Canada must continue strengthening, and also coincided in working together to promote free trade. Regarding this issue, they talked about the Trans-Pacific Partnership (TPP) and the renegotiation of NAFTA. At the first bilateral meeting on Saturday, Peña met with Italian President Paolo Gentiloni to discuss the process of updating the Global Agreement between Mexico and the European Union. Since 2012, Mexico and Italy have had a strategic partnership that has allowed the increase of economic exchange and the growth of binational cooperation in terms of justice and security, science and technology, culture and education. The Mexican president also held meetings with the Prime Minister of India, Narendra Modi, and the President of the Spanish Government, Mariano Rajoy.